Xtreme Dance Dome is perfect for all ages! Kids, teens and even adults can have an amazing time dancing, bouncing, and enjoying the dome. 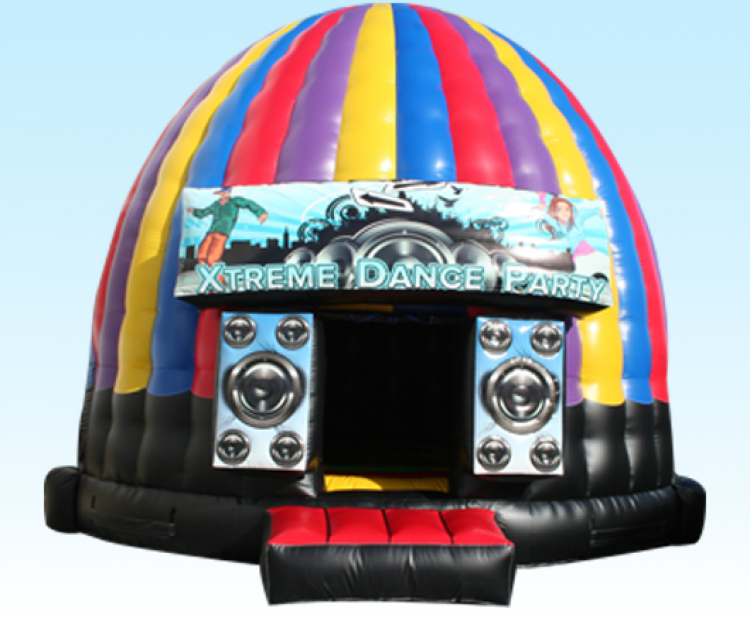 It keeps the light out, while also offering adequate ventilation and air flow throughout the bouncing area and walls. Comes with speaker and lighting. Music can be fed via USB, Bluetooth or RCA cable to any music device.